Paige is a Partner working in the Privately Held Business team at Grant Thornton in Christchurch. Paige is driven by helping people and organisations realise their business and financial ambitions by supporting them as they navigate the complexities of the business environment. Paige is passionate about Public Art and she is delighted to share her 30 years of knowledge and experience with SCAPE. Michael is a Chartered Professional Engineer with over 20 years’ experience in leading Major Civil and Infrastructure Projects in New Zealand. He has extensive experience in governing and leading teams to deliver excellent outcomes. He has a senior leadership role in governing, reviewing and leading significant infrastructure projects across New Zealand. 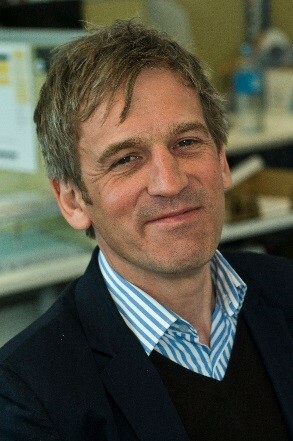 Having spent 18 years working and living in Canterbury he brings a leadership passion around Health and Safety in Construction and leading best practice in Construction Techniques. He is a Member of the Institute of Professional Engineers and Competency Board Member for IPENZ, he is also a member of the Institute of Directors. Jenny May ONZM, is an art and architectural historian and Director of Heritage Management Services. She has been involved in governance for the past 25 years and has served on a number of arts and heritage Trusts and Boards nationally and locally. She is currently a trustee of the Christchurch Symphony Orchestra Foundation; Canterbury Heritage Awards Trust; Ravenscar Trust and the Christchurch Cathedral Music and Education Trust. Jane has extensive marketing experience, having worked as a marketing manager for tourism attractions, hotels, local bodies and regional tourism organisations. She has spent considerable time within New Zealand and internationally, representing Christchurch and Canterbury as destinations. Jane is the co-owner of Leighs Construction Ltd.
Darryn George (Ngā Puhi) is both a recognised New Zealand artist and a highly regarded art teacher at Christ's College. Darryn gained his Master of Fine Arts (Painting) from the Royal Melbourne Institute of Technology in 1998. He has been exhibiting since 1994 both nationally and internationally. Darryn has had a long-term interest in scale. His works range from those of a domestic scale to such large-scale works as the 29 square metre work The Lambs' Book of Life (Folder Wall), that he created for SCAPE 6, 2011. In 2013, he was chosen as one of the artists to exhibit at the New Zealand collateral exhibition at the Venice Biennale. Richard is a Chartered Professional Engineer with over 25 years’ experience in a wide range of civil engineering projects from concept through to completion of construction. Projects have included the construction of the landmark Otira viaduct in Arthur's Pass National Park, and multiple airport runway resurfacing projects in New Zealand and the Pacific. Richard is passionate about the South Island and Christchurch where he grew up, has a love of the outdoors and is actively involved in conservation initiatives in the Arthur's Pass area. Richard is also chair of the Arthur's Pass Association (Inc), a member of the St Andrews College Board of Governors, a Member of IPENZ and of the Institute of Directors. Simon is an engineer and a director of Cosgroves ltd. He leads a team of building services and fire engineers responsible for designing many of the rebuild projects following the Canterbury earthquakes. He has contributed to numerous buildings projects throughout New Zealand and overseas in both a technical and leadership capacity and has a broad knowledge of project governance and management. Simon and his team have contributed to both SCAPE 7 and 8, as well as other temporary projects within the centre of the city. He has been a member of the South Island Property Council Executive for some years and is currently serving as vice president. Pamela Lindsay is a Director of PR South, where she has practiced as a PR/communications business advisory consultant since 1994. Pamela’s business strengths are at strategic planning and implementation levels, enabling her to deliver results in short and long-term sustained private and public sector projects. Pamela is a Fellow of the Public Relations Institute of NZ (FPRINZ) an internationally accredited(APR) member of PRINZ and has the distinction of winning a PRINZ most outstanding national award. Pamela is also a Trustee on the Boards of The Sir Richard Hadlee Sports Trust and The Christchurch Casinos Charitable Trust. Matt is a Director of RCP and is also responsible for South Island Operations. He brings over 20 years’ experience in providing strategic advice on large and complex projects in Christchurch and nationally. Matt’s dedication and passion is exhibited in the continual rebuild and recovery of Christchurch post the 2010 and 2011 earthquakes. Matt’s project leadership role occupied in the Blueprint Plan for the Recovery of Central Christchurch Plan, where he influenced and contributed to the effective management of a large multidisciplinary team and multiple stakeholders in a unique and high pressure environment to successfully deliver the well‐received Blueprint. Matt regards the chance to influence the future of the city as a privilege both professionally and personally.